It’s hard to believe that 8 years has passed since I made this video. I remember it like it was yesterday. 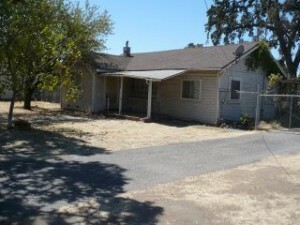 As a real estate investor in Stockton, Sacramento and Modesto, I was looking at 2 to 3 houses per day. The real estate market was so distressed and every day was a new challenge. Back then prices were low, labor cost were low and the resale market for any type of house, including investment properties was questionable at best. Exit strategies for any kind of house were difficult to come by and the only houses that were being sold were for cash. I know I was buying them. When I stop to think about it there were no typical houses back then. They ran the gamut. Big, small, run down, and some were just in ugly situations. We helped where we could. I remember that some of my blogs post back then were ad campaigns that said we buy houses that are ugly, we buy houses fast Stockton. It worked. I say that not so much a brag, but more in astonishment. I can’t believe I survived. All of the cards were stacked against us. I didn’t have a lot of money and everything that I did was one house at a time. It was me and one other very talented man that put these houses back together again. We spent every hour of the day looking for houses that would work. We invested our time and money and when that was gone our blood sweat and tears. Sometimes we barely broke even as we placed bets on the houses that we could win with. Like I said, we didn’t have a lot of money behind us. The very banks that extend lines of credit and lend to us today were not lending money to us back then. We needed to roll the profit from one house to the next and so on and in the process still make a living. Finally we earned our stripes. We became experts and pioneers in a changing real estate market and we helped hundreds of families along the way. We worked with owners of ugly houses, houses that were in disrepair and together and we made and kept our promises. Finally, with a solid track record, the banks came around and they finally extended us lines of credit and took our business seriously. There were so many obstacles back then for us and for the homeowners. I remember when I first hung my We Buy Houses Stockton Signs. I would wake up at 5:00 am on Saturday mornings and not come home until the 100 signs were up. I remember investing in those bandit signs as the only real form of advertising back then. 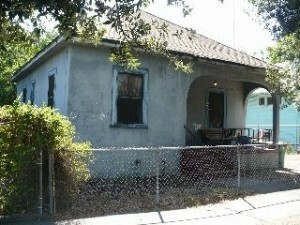 We would buy a house in Stockton, Sacramento or Modesto and we were always being 30 days away from being broke. I remember talking to homeowners that just wanted out. Some of them just wanting to give me the keys to take over their problems. Some were just to far down the road. No equity and no economy to sell the houses. Even if I wanted to take on another house I couldn’t. There was just not that kind of money available. It was equally bad for the homeowner that was not in trouble. 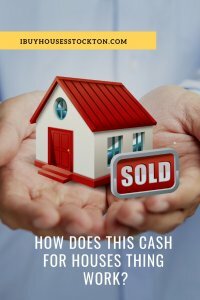 Even if you needed to sell a house the banks were not lending any money to buyers. 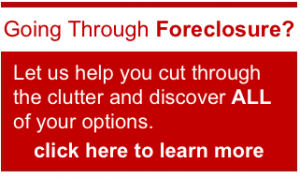 The real estate market was saturated with foreclosures and bank owned properties that put downward pricing pressure on every house that hit the market. Homeowners that were not in trouble financially were severely punished in at least two ways. As the Stockton, Sacramento and Modesto real estate market began to slowly absorb those vacant, distressed and foreclosed houses we saw prices stabilize and in some cases grow. It took years for that assimilation as regulations became so burdensome, as a knee jerk reaction by legislators, to show the public that they were trying to do something to keep the same thing from happening again. Mission accomplished as the legislation of the day, “Dodd Frank”, ended up constricting and killing the housing markets recovery even further and stalling what would have been a normal recovery. I have had first hand experience with the application of the rules and regulations dating back to 2010. To this day, if I purchase a house for the purpose of fixing and then reselling, the house is subject to the 90 day “anti-flip rule” and precluded from any government backed financing such as VA or FHA. Forget that all houses have to be appraised and approved for financing, the government is still disallowing financing of properties that have been purchased and sold within 90 days of the original purchase date. Who is the federal government protecting? 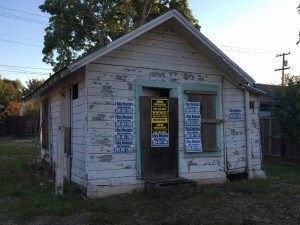 In order to build a new house on bare land in Stockton, where no existing structures had existed before, the cost to connect to water, sewer and the other services such as gas and electric cost a minimum of $75,000. That does not include the cost of the land. Even if you could build a house for $100 per square foot, a 1500 square foot home would cost $150,000, plus the land cost of roughly $75,000 plus the cost of permitting of $75,000. That bill comes to $300,000.00. 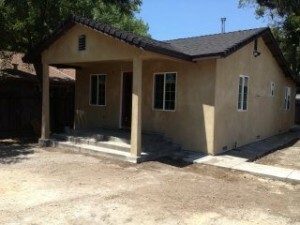 My Name is Peter Westbrook and I am a real estate investor in Stockton and general contractor in Stockton, Sacramento and Modesto California. I Buy Houses Stockton. We buy Houses Fast Stockton. For the past 10 years, my company, Westbrook REI, has bought and sold well over 100 homes and have helped hundreds of families in the process. 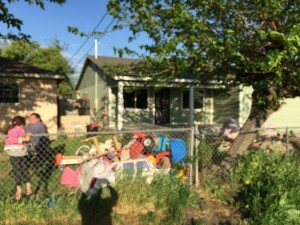 We buy houses in Stockton in any condition and I write these articles and post these videos in the hopes that someone with a need will find me and call me with a real estate issue that I can help them with. 10 years is a lot of experience and I have seen the good, the bad and the ugly. If you have a house that you need to sell, I would encourage you to pick up the phone, call me, send me a text or email me. I am very approachable and I have seen a lot of different situations that makes me very empathetic about so many real estate problems. I like to say that while I haven’t seen it all, and sometimes I am actually even shocked, but I have so much experience that I find a way to help and get things done. Don’t let that problem property ruin another day of your life. Let me help you and buy that problem from you so that you can get on with your life. I can be reached at (209)481-7780. Peter Westbrook: Hello everyone. Peter Westbrook here with Westbrook Real Estate Investments. I’m standing out in front of 685 West Mariposa Avenue in Stockton. This is a typical house that I’d look at. 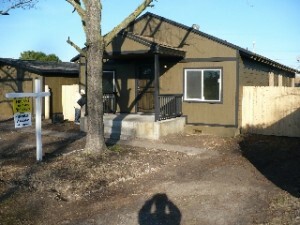 In fact, I’m negotiating the sale of this house. The people bought this house around 10 years ago. They have not lived in it for the past two. You can see it needs a lot of work. The roof needs to be redone on it and there are other things. The city has red tagged on this house and I am working with the city, trying to get some of those alleviated. But the net of this video is I’d like to buy a house from you if you have one that needs work. A lot of times people inherit houses or they just get behind or there could be water damage, fire damage, or any other kind of damage, vandalism, to a vacant house and when a house turns into a liability rather than an asset, that’s when people should be looking to get out from underneath it and that’s where I come into play. 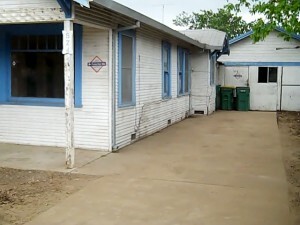 This house happens to be in very good condition over all and on the inside. It does need work and updating. The bathrooms, as you can see are very old style, but still, not in bad shape. 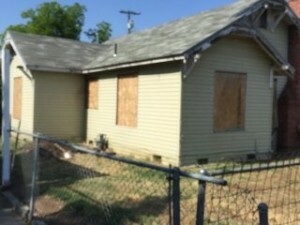 Again, if you have a house that has turned into a liability for you and you would like to get the highest possible cash offer on the house, then I would suggest you call me at 209-481-7780 or visit my website at http://www.westbrookbuyshouses.com/we-buy-houses-stockton or http://www.ibuyhousesstockton.com. Either way, get a hold of me. I’d love to make you a cash offer on your house and get you off and moving. Thanks a lot for watching. 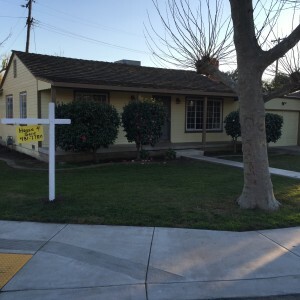 We Buy Houses Fast Stockton.